Salary Software will calculate and display the working hours and OT (Over Time) hours of selected employee on the daily basis. Admin can modify the OT hours that is to be approved and save the details which will calculated in the salary. Admin can give bonus amount to any employee as per company norms. Admin can set the criteria on the basis of “Basic Salary”, “Gross”, “Consolidated” and “Fix”. Bonus can also be effective in salary by selecting month and year. Bonus can be given in Fix amount or on basis of percentage. 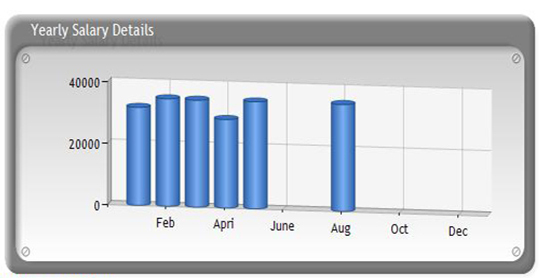 Admin can give performance points to any employee as per the data from performance master. Admin can manage the advance details of any employee. Admin can enter the amount to be given as advance to the employee which will be reflected in his next salary generation. 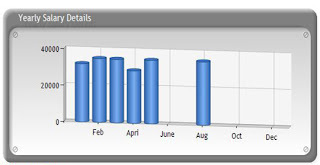 Based on Monthly Attendance – present / absent – salary is processed. System will automatically calculate salary of employee on basis of In/Out entries, approved OT’s, Loan, Leave Details, Arrears, Deduction, IT Tax and Advance of that employee for selected month and year. After saving the record, it will display the net amount of salary that is to be paid to employee. System will calculate the salary of selected employee on selected month and year on the basis of details entered by admin manually. This is module is effective when the employee is given increment, however he/she is yet to be given the increment amount. Admin can use this module to track and add all salary settlements. System will automatically calculate pending dues, leaves, loan, assets and any outstanding salary in case employee leaving the company or organization. If employee salary is to be given by cheque then system will display that employee/s. Admin can enter the cheque details that is given to the employee/s.